Vegetables are low in calories but rich in vitamins, minerals and other important nutrients. In addition, many are low in carbs and high in fiber, making them ideal for low-carb diets. The definition of a low-carb diet varies widely, but most are under 150 grams of carbs per day, and some go as low as 20 grams per day. Whether or not you’re on a low-carb diet, eating more vegetables is always a great idea. Here is a list of the 21 best low-carb vegetables to include in your diet. Bell peppers, also known as sweet peppers or capsicums, are incredibly nutritious. They contain antioxidants called carotenoids that may reduce inflammation, decrease cancer risk and protect cholesterol and fats from oxidative damage (1, 2, 3). One cup (149 grams) of chopped red pepper contains nine grams of carbs, three of which are fiber (4). It provides 93% of the Reference Daily Intake (RDI) for vitamin A and a whopping 317% of the RDI for vitamin C, which is often lacking on very low-carb diets. Green, orange and yellow bell peppers have similar nutrient profiles, although red pepper is highest in certain antioxidants. Bottom Line: Bell peppers are anti-inflammatory and high in vitamins A and C. They contain 6 grams of digestible (“net”) carbs per serving. Broccoli is a true superfood. It’s a member of the cruciferous vegetable family, which includes kale, Brussels sprouts, radishes and cabbage. Studies show broccoli may decrease insulin resistance in type 2 diabetics. It’s also thought to protect against several types of cancer, including prostate cancer (5, 6, 7). One cup (91 grams) of raw broccoli contains 6 grams of carbs, two of them fiber (8). It also provides more than 100% of the RDI for vitamins C and K.
Bottom Line: Broccoli contains 4 grams of digestible carbs per serving. It’s high in vitamins C and K, may reduce insulin resistance and help prevent cancer. Asparagus is a delicious spring vegetable. One cup (180 grams) of cooked asparagus contains 8 grams of carbs, four of which are fiber. It’s also a good source of vitamins A, C and K (9). Test-tube studies have found that asparagus may help stop the growth of several types of cancer, and studies in mice suggest it may help protect brain health and reduce anxiety (10, 11, 12, 13, 14). Bottom Line: Asparagus contains 4 grams of digestible carbs per serving. It’s a good source of several vitamins and may help protect against certain types of cancer. Mushrooms are extremely low in carbs. A one-cup (70-gram) serving of raw white mushrooms contains just 2 grams of carbs, 1 of which is fiber (15). What’s more, they’ve been shown to have strong anti-inflammatory properties (16). In a study of men with metabolic syndrome, eating 100 grams (3.5 ounces) of white mushrooms for 16 weeks led to significant improvements in antioxidant and anti-inflammatory markers (17). Bottom Line: Mushrooms contain 1 gram of digestible carbs per serving. They can reduce inflammation in people with metabolic syndrome. Zucchini is a popular vegetable and the most common type of summer squash. Summer squash has a long shape and soft skin that can be eaten. In contrast, winter squash comes in a variety of shapes, has an inedible rind and is higher in carbs than summer varieties. One cup (124 grams) of raw zucchini contains 4 grams of carbs, one of them fiber. It’s a good source of vitamin C, providing 35% of the RDI per serving (18). Yellow Italian squash and other types of summer squash have carb counts and nutrient profiles similar to zucchini. Bottom Line: Zucchini and other types of summer squash contain 3 grams of digestible carbs per serving and are high in vitamin C.
Spinach is a leafy green vegetable that provides major health benefits. Researchers report that it can help prevent damage to DNA. It also protects heart health and may decrease the risk of common eye diseases like cataracts and macular degeneration (19, 20, 21). What’s more, it’s an excellent source of several vitamins and minerals. One cup (180 grams) of cooked spinach provides more than 10 times the RDI for vitamin K (22). Spinach is also low in carbs, but the carbs become more concentrated as the leaves are cooked down and lose their volume. For example, one cup of cooked spinach contains 7 grams of carbs with 4 grams of fiber, whereas one cup of raw spinach contains 1 gram of carbs with almost 1 gram of fiber (22, 23). Bottom Line: Cooked spinach contains 3 grams of digestible carbs per serving, is very high in vitamin K and helps protect heart and eye health. Avocados are a unique and delicious food. Although technically a fruit, avocados are typically consumed as vegetables. They’re also high in fat and contain very few digestible carbs. A one-cup (150-gram) serving of chopped avocados has 13 grams of carbs, 10 of which are fiber (24). Avocados are also rich in oleic acid, a type of monounsaturated fat that has beneficial effects on health. Small studies have found that avocados can help lower LDL cholesterol and triglyceride levels (25, 26). They’re also a good source of vitamin C, folate and potassium. Although avocados are a fairly high-calorie food, they may be beneficial for weight management. In one study, overweight people who included half an avocado at lunch reported feeling fuller and had less desire to eat over the next five hours (27). Bottom Line: Avocados provide 3 grams of net carbs per serving. They promote feelings of fullness and are high in heart-healthy fat and fiber. Cauliflower is one of the most versatile and popular low-carb vegetables. It has a very mild taste and can be used as a substitute for potatoes, rice and other higher-carb foods. One cup (100 grams) of raw cauliflower contains 5 grams of carbs, three of which are fiber. It’s also high in vitamin K and provides 77% of the RDI for vitamin C (28). Like other cruciferous vegetables, it’s also associated with a reduced risk of heart disease and cancer (29, 30). Bottom Line: Cauliflower contains 2 grams of digestible carbs per serving. It is also high in vitamins K and C, and may help prevent heart disease and cancer. Green beans are sometimes referred to as snap beans or string beans. They are a member of the legume family, along with beans and lentils. However, they have significantly fewer carbs than most legumes do. A one-cup (125-gram) serving of cooked green beans contains 10 grams of carbs, four of which are from fiber (31). They’re high in the green pigment known as chlorophyll, which animal studies suggest may help protect against cancer (32). In addition, they contain carotenoids, which are associated with improved brain function during aging (33). Bottom Line: Green beans contain 6 grams of digestible carbs per serving, as well as antioxidants that may help prevent cancer and protect the brain. Lettuce is one of the lowest-carb vegetables around. One cup (47 grams) of lettuce contains 2 grams of carbs, one of which is fiber (34). Depending on the type, it may also be a good source of certain vitamins. For instance, romaine and other dark-green varieties are rich in vitamins A, C and K. They’re also high in folate. Folate helps decrease levels of homocysteine, a compound known to increase heart disease risk. In one study of 37 women, consuming foods high in folate for five weeks reduced homocysteine levels by 13%, compared to a low-folate diet (35). Bottom Line: Lettuce contains 1 gram of digestible carbs per serving. It’s high in several vitamins, including folate, which may lower heart disease risk. Garlic is known for its beneficial effects on immune function. Studies have found that it may boost resistance to the common cold virus and decrease blood pressure (36, 37, 38). Although it’s a high-carb vegetable by weight, the amount typically consumed at a sitting is very low due to its strong taste and aroma. One clove (3 grams) of garlic contains 1 gram of carbs, part of which is fiber (39). Bottom Line: Garlic contains 1 gram of digestible carbs per clove. It may reduce blood pressure and improve immune function. Kale is a trendy vegetable that’s also extremely nutritious. It’s loaded with antioxidants, including quercetin and kaempferol. These have been shown to lower blood pressure and may also help protect against heart disease, type 2 diabetes and other diseases (40, 41, 42). One cup (67 grams) of raw kale contains 7 grams of carbs, one of which comes from fiber. It also provides an impressive 206% of the RDI for vitamin A and 134% of the RDI for vitamin C (43). A high intake of vitamin C has been shown to improve immune function and increase the skin’s ability to fight damaging free radicals, which can speed up the aging process (44, 45). Bottom Line: Kale contains 6 grams of digestible carbs per serving. It’s high in antioxidants and has more than 100% of the RDI for vitamins A and C.
Cucumbers are low in carbs and very refreshing. One cup (104 grams) of chopped cucumber contains 4 grams of carbs with less than 1 gram from fiber (46). Although cucumbers aren’t very high in vitamins or minerals, they contain a compound called cucurbitacin E, which may have beneficial effects on health. Results from test-tube and animal studies suggest it has anti-cancer and anti-inflammatory properties and may protect brain health (47, 48, 49). Bottom Line: Cucumbers contain just under 4 grams of digestible carbs per serving. They may help protect against cancer and support brain health. Brussels sprouts are another delicious cruciferous vegetable. A half-cup (78-gram) serving of cooked Brussels sprouts contains 6 grams of carbs, two of which are fiber (50). It also provides 80% of the RDI for vitamin C and 137% of the RDI for vitamin K.
What’s more, controlled human studies suggest that eating Brussels sprouts may reduce risk factors for cancer, including colon cancer (51, 52). Bottom Line: Brussels sprouts contain 4 grams of digestible carbs per serving. They’re high in vitamins C and K and may help reduce cancer risk. Celery is extremely low in digestible carbs. A one-cup (101-gram) serving of chopped celery contains 3 grams of carbs, 2 of which are fiber. It’s a good source of vitamin K, providing 37% of the RDI (53). In addition, it contains luteolin, an antioxidant that shows potential for both preventing and helping to treat cancer (54). Bottom Line: Celery provides 1 gram of digestible carbs per serving. It also contains luteolin, which may have anti-cancer properties. Tomatoes have a number of impressive health benefits. Like avocados, they are technically fruits but usually consumed as vegetables. They’re also low in digestible carbs. One cup (149 grams) of cherry tomatoes contains 6 grams of carbs, two of which are fiber (55). Tomatoes are a good source of vitamins A, C and K. In addition, they’re high in potassium, which can help reduce blood pressure and decrease stroke risk (56). They’ve also been shown to strengthen the endothelial cells that line your arteries, and their high lycopene content may help prevent prostate cancer (57, 58). Cooking tomatoes increases lycopene content, and adding fats such as olive oil during cooking has been shown to boost its absorption (59). Bottom Line: Tomatoes contain 4 grams of digestible carbs per serving and are high in vitamins and potassium. They may help protect heart health and reduce cancer risk. Radishes are low-carb vegetables with a sharp, peppery taste. One cup (116 grams) of raw sliced radishes contains 4 grams of carbs, two of which are fiber (60). They’re fairly high in vitamin C, providing 29% of the RDI per serving. Radishes are one of the Brassica vegetables, which have been shown to reduce the risk of breast cancer in postmenopausal women by modifying the way the body metabolizes estrogen (61). Bottom Line: Radishes contain 2 grams of digestible carbs per serving and may help reduce the risk of breast cancer in older women. Onions are a tasty and nutritious vegetable. Although they are fairly high in carbs by weight, they’re usually consumed in small amounts because of their robust flavor. A half cup (58 grams) of sliced raw onions contains 6 grams of carbs, one of which is fiber (62). Onions are high in the antioxidant quercetin, which may lower blood pressure (63). One study of overweight and obese women with polycystic ovary syndrome (PCOS) found that red onion consumption reduced LDL cholesterol levels (64). Bottom Line: Onions contain 5 grams of digestible carbs per serving and may help lower blood pressure and LDL cholesterol levels. Eggplant is a common vegetable in many Italian and Asian dishes. A one-cup (99-gram) serving of chopped, cooked eggplant contains 8 grams of carbs, two of which are fiber (65). It’s not very high in most vitamins or minerals, but animal research suggests eggplant may help lower cholesterol and improve other markers of heart health (66). It also contains an antioxidant known as nasunin in the purple pigment of its skin. Researchers have reported that nasunin helps reduce free radicals and may protect brain health (67). Bottom Line: Eggplant contains 6 grams of digestible carbs per serving and may help protect heart and brain health. Cabbage has some impressive health benefits. As a cruciferous vegetable, it may help reduce the risk of certain cancers, including esophageal and stomach cancer (68, 69). One cup (89 grams) of chopped raw cabbage contains 5 grams of carbs, three of which are fiber (70). It also provides 54% of the RDI for vitamin C and 85% of the RDI for vitamin K.
Bottom Line: Cabbage contains 2 grams of digestible carbs per serving. It’s high in vitamins C and K and may reduce the risk of certain cancers. Artichokes are delicious and nutritious. One medium-sized globe artichoke (120 grams) contains 14 grams of carbs. However, 10 grams come from fiber, making it very low in digestible (net) carbs (71). A portion of the fiber is inulin, which acts as a prebiotic that feeds the healthy gut bacteria (72). What’s more, artichokes may protect heart health. In one study, when people with high cholesterol drank artichoke juice, they experienced a reduction in inflammatory markers and improvement in blood vessel function (73). 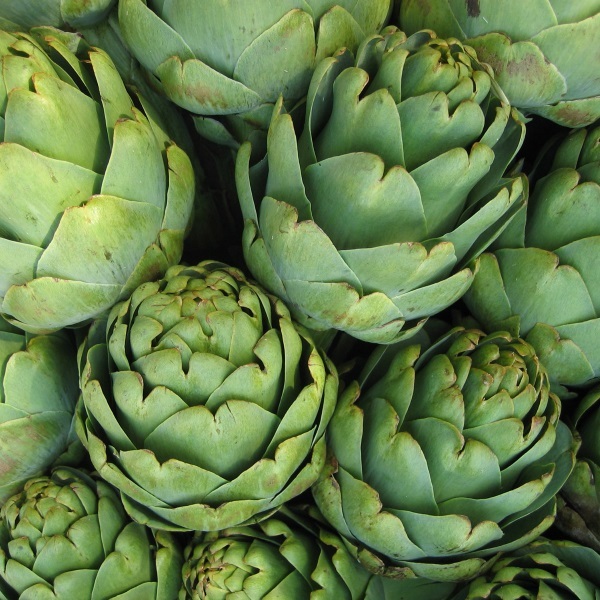 Bottom Line: Artichokes contain 4 grams of digestible carbs per serving and may improve gut and heart health. There are many tasty vegetables that can be included on a low-carb diet. In addition to being low in carbs and calories, they may also reduce disease risk and improve your overall health and well-being. How Well Does Rest-Pause Work?